Lonni, thanks so much for sharing your story and positivity on living fully with a cognitive impairment. Happy holidays to you and your wonderful family. Thank you for sharing. Marry Christmas. You are remarkable and have so much to share! Thanks for making the choice to do so! I also want to commend your son Dan…you sound like an incredible team! I agree with you Judy! And have to add that being a former caregiver to my mom who passed in 2009 and had Alzheimer’s, Dan is a saint. It is rare to have a male spouse care for his wife but, a son! What a blessing to have him! I pray for guidance and strength for him as it is surely is the most difficult thing he will ever do. You get frustrated and even angry at God sometimes but, you also get closer to your loved one than you ever thought possible and you get to share the most precious moments with them that become precious memories in time. Thank you for your story. Thanks to both of you. My son and my sister are special…and I am learning how fortunate I am to have them. Happy holidays! Thank you for taking the time to write this article. This is very helpful to me. Inspiring…..and important message. We ALL need to cherish each day. We ALL need to make every moment matter. I truly appreciate your openness about your journey. Kudos to your family as well. May God bless you as you navigate through this time. Thank you for your spot on perspective!!! We all need it. Thanks for sharing this part of your story. May God continue to bless you, your family and friends, the whole world, really, with as much good health as possible, lots of love and whatever support is needed. Merry Christmas and happy, healthy new year. What a lovely story to share – Thank you! Strength to you and your family, and much peace and happiness as well. Thank you for sharing. You inspire. Warm greetings to you for the festive season. This is good advice for those experiencing physical changes due to age, as well. And as we grow older sometimes there is a bit of both to deal with — not functioning as well mentally as well as physically makes for a double whammy that can bring on shame and disappointment in one's self. Families need to be in tune to these changes and do what they can to alleviate the aging person's stress. Think outside the box and change traditions a bit. Thanks so much for your encouraging advice. I, too, am a teacher (adjunct faculty) and was diagnosed with MCI a year ago, but that doctor claims it's the kind that won't lead to Alzheimer's. I take that with a grain of salt since he's the one who took me off Aricept 2 years previous and at that time claimed I had nothing to worry about despite my family history. When I got to the point that I didn't feel I could manage teaching, he reluctantly put me back on Aricept and said it was MCI but not Alzheimer's. All I know is that being put back on the Aricept really, really helped and I am now managing teaching again, although I've chosen not to carry as heavy a load. (The doctor said I can't get disability and that I shouldn't think about disability as he claims being negative can make things worse) I try to live in the moment and enjoy each day's blessings. Your story encourages me that no matter what the future holds for me, I can be myself and live in peace instead of worry. Thanks so much for sharing your story! My son and I saw Still Alice together and we're struck by the many similarities. Her bravery and courage with this disease were inspiring. There is no shame in accepting disability when the time is right. It's great that the medication helps you. Best of luck! Your message and advice is profound and helpful to so many people. Even though you can’t formally teach anymore, you are still teaching others in the way we should face Alzheimer’s. Your story is very similar to the one written by Lisa Genova in her book (which became the film) Still Alice. Alice was also a teacher and it is so hard to lose that ability. Your son reminds me of what I did for my mom. Helen. .. I know how frustrating it can be to not be as quick as we once were. It's why I don't teach, but I'm learning other things. Painting, adult coloring books, even word puzzles help keep me going. Best of luck to you! I truly wish I could find your acceptance; however now do try to find something special in each day for which to be grateful. Doing this has made me aware of how much of what I used to take for granted is truly special. As I can see it was with you: I too had a quick and curious mind; well I am still curious, but I definitely would not call me quick. I also have difficulty in learning anything new despite my level of interest. And there are definitely days when I still mourn losing the person I was. My problems are confounded by my age, 79, and all my other health conditions/medications. Recently I was diagnosed with a return of kidney cancer, my fifth bout of cancer. Beyond some easy stuff, I will not treat and now have some peace because I can be fairly certain my mind will outlast my body. You have many blessings: your son is a gift from heaven, your mind is still well enough to put together this blog to which I am responding. As is said: use it or lose it. I commend you for using what gifts you have and for the acceptance you have granted yourself, tho I am sure there are still days when despair comes knocking at the door of your being. If you continue to blog here; I believe you will find work that is nourishing. Plus your readers will be learning lessons from your life that may be applied to their lives. Thank you for your post; I am hoping it will help me along my journey in these unexplored, and sometimes frightening, territories. God Bless you and your son, Dan. I pray for an end to this insidious disease soon. Merry Christmas! Dear Sue, Like Lonni, you are wise and wonderful in accepting that you are having difficulty in cognition, and that with a family history of dementia, you are at higher risk for dementia. I am very concerned that your doctor seems to be a hindrance in your getting the right care.MCI does not always lead to dementia, but no one can say whether a particular person will continue to an AD diagnosis. It’s good that you take this doctor’s claim that your MCI “isn’t the kind that turns into Alzheimer’s disease” with a grain of salt, but sad that others could be less knowledgeable. Withdrawing Aricept and then resisting prescribing it when symptoms indicate that Aricept or other AD meds can help is not good care. The idea that you can’t get disability is incorrect. While it can be difficult to get disability pay, particularly when you are able to work successfully at a smaller number of hours, it is definitely an appropriate step that you should consider, if and when you need it. It will be impossible to get disability without medical documentation that you have cognitive impairment that is preventing you from continuing to work in your field, at your usual level. The idea that negative thinking will make things worse is only accurate in whether we cope well or not with the reality that is here, now. You certainly are not a negative thinker. The intention to live in the moment and enjoy each day’s blessings is very positive. Negative thinking certainly does not cause an MCI diagnosis to change to an AD diagnosis, or cause AD to progress. What a disservice this person is providing as a physician! Others who are less aware and proactive are surely harmed by this poor care. Please see a neurologist and have a full neuropsych evaluation, and continue to advocate for your needs. Please see a doctor who is more in tune with reality, who provides full evaluation, medication and support. I am a research nurse working with people with AD, MCI and other cognitive impairment. I have seen so many people, especially those under 65, who seek medical care for cognitive difficulty, and they are not fully evaluated appropriately. 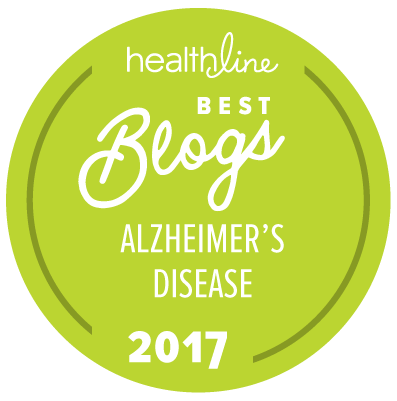 They are not given a diagnosis of Alzheimer’s Disease, and given information and support that encourage them to plan now for their future, and to do the things now that are most important to them. Whether it’s travel, doing a complex hobby, or continuing in a demanding job for as long as possible, people should be encouraged to be deliberate in choosing how to use their time now. Especially because those diagnosed at younger ages tend to have more rapid progression of AD, being given an accurate diagnosis and the encouragement to seize the moment is and make plans that reflect their wishes is vital. The fact that you are asking for help, taking Aricept, and taking the doctor’s claim that “this kind of MCI won’t lead to Alzheimer’s” with a grain of salt underscores that you are not willing to stick your head in the sand. Please see a doctor who will respect and support the wonderful coping that you are doing right now. they find a cure for this illness…it takes a person’s self respect away. Thank you for sharing and I wish you all the best. I may share this with my Dad who has been recently diagnosed with mild cognitive impairment. I hope that it will inspire some conversations about the positive things we have to share with each other. I have Altimezers and I am going through a hard time because I am not the same feel like I am loosing me it's so hard everything I am going through! Paulsing, repeating myself all the time so much more. Bravo to you and your family. My husband was diagnosed in Sept if 2011 and my mom has been almost 13 years!!! It certainly has “changed” our lifestyles. Thank goodness for your family’s support. Safety is so very important. Strength and peace to you all. Enlightening article – I am a 65 year old real estate agent. I have mild cognitive disorder and am participating in a clinical trial, actually going into my second. My doctors are the best and their support is critical. I work with my husband and he keeps everything on track – I am happy to be "part of the cure". My wife was diagnosed with MCI in December 2005. I was her 24/7 caregiver for eight years. She has been in a care facility since June 2013. I visit her her every day for lunch. My blog moosietracks.wordpresss.com is following our journey from beginning to end. I can relate to what you wrote. I have the early onset gene and started exhibiting symptoms at the age of 44. I am now 50 years old, and although I have not been officially diagnosed, brain scans have shown atrophy which has affected more of my brain year after year. All the research I have done indicates that I am in the mild-to-moderate stage of the disease. I created a website as a way to cope with the fact that I might just end up like my mother and deceased grandmother. If you're interested, please take a look at my site. It's http://www.anelusivemind.com. The site includes a blog as well. I wish you all the best, and I am so happy for you that you have a very loving and caring family, much like mine. decided I wouldn’t hide it. Thank you for Sharing your story! I commend Lonni for going public with her illness. Most of us after we reach a certain age fear Alzheimers, but don't know how we could handle such a diagnosis. I just wish they could come up with a cure for this devastating illness. There are forty million Americans who currently care for a beloved with AD or related dementias. We have lots of company!! And I wouldn't trade the time mother has been living with my sister Val for anything! I come by four days a week to visit and pitch in. We still laugh, walk the dog, go to the pizza parlor, sort sox and wash, prepare meals, play piano and sing, enjoy quality time together. And though I have had to make some adjustments in my own expectations in terms of what tasks mom can perform now, I never tell her she CAN'T take part in things. She's still our mother – and always will be!! I so appreciate Lonni's wonderful story and can totally relate. Blessings! It's almost as if you can control things – accept and live.